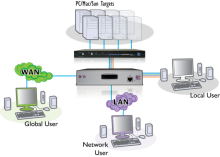 KVM over IP stand alone units and KVM over IP Switches are designed to enable remote access to computers and servers across a LAN/WAN, the Internet or even ISDN/56K modem. Adder KVM over IP devices also enable out of band management enabling remote power cycling and BIOS-level access to remote locations or within a data center. 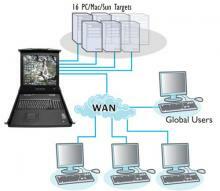 Adder KVM over IP devices are jointly designed with Real VNC. Using the original industry standard remote access tool means that Adder devices are not only the highest performing, flexible and reliable on the market but also come packed with a whole host of additional features such as scaling viewers, high color depth and absolute mouse mode as standard. 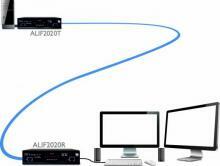 IP-based KVM: Dual head, single link digital video and USB2.0 over a single cable. 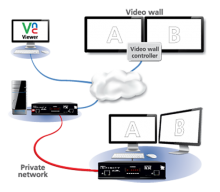 AdderLink INFINITY dual VNC a high performance KVM server that can be accessed remotely via IP with a VNC viewer and / or simultaneously with an AdderLink Infinity receiver. 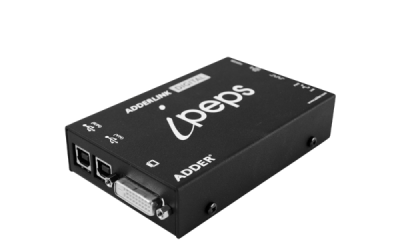 The ADDERLink Digital ipeps product is part of ADDER’s ‘ipeps’ (IP Engine per Server) concept that delivers a complete digital, secure, non-blocking approach to Remote Server management. Dual link or dual head digital video and USB2.0 over a single cable. Using ADDER’s CAM modules, you can connect the switch via CAT5e cable to any type of server including PC, Mac and Sun. Country code reporting, DDC and continuous keyboard and mouse emulation further ensure faultless operation across your unique installation. The ADDERView AVX5016 IP is the culmination of ADDER’s KVM over IP expertise to date. 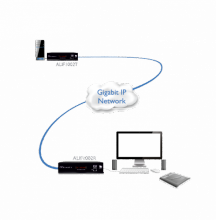 This new device offers 4 non blocking simultaneous IP connections together with a local port (5 separate users), and allows the user to control 16 separate devices. The AVX5016 IP is very small and compact enabling you to fit two units side by side to support 32 computers and 10 sessions in just 1U of rack space. Direct connection for 1 local user to connect straight into the switch. A powerful and flexible KVM-over-IP product contained with in a palm sized unit, the ADDERLink ipeps enables computer access from anywhere in the world, securely and remotely via the Internet or corporate network. The ADDERLink ipeps uses Real VNC client software that is specifically designed for secure, high performance KVM-over-IP applications. 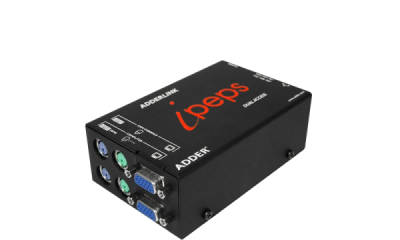 Despite its small size, there is no compromise in the performance of the ADDERLink ipeps. 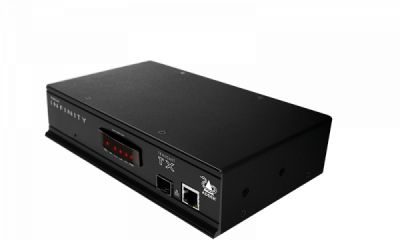 By using Adventiq Inside® on-chip KVM-over-IP technology, an extremely high performance solution can be contained in a compact unit. Interface powered, optional external PSU available. Independent operation gives full control even during boot up, BIOS level or computer crash states. USB or PS/2 keyboard and mouse connections. Virtual media support (via USB). Enterprise grade security (using AES 128 bit encryption and RSA 2048 bit public key authentication) further enhanced by the use of Real VNC that allows for the creation of ciphered user communications. 16 user profiles and access data logging. Up to 16 units can be rack mounted in 2U of rack space. 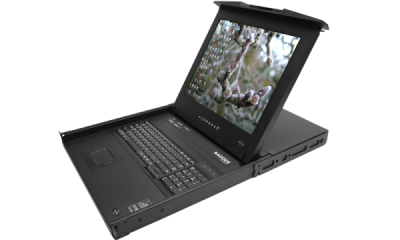 Supports exclusive access mode or up to four simultaneous connections. Auto sensing 10/100 Mb Ethernet port. 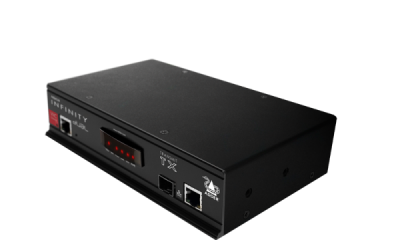 The ADDERView CATx Series is a range of secure, KVM via CATx switches that provides 4 concurrent local, remote or global users with BIOS-level control of up to 24 multiplatform servers. 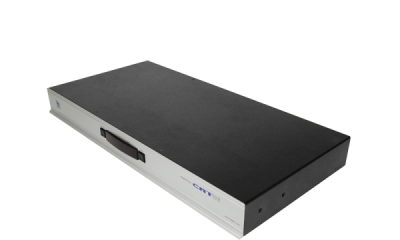 A “plug-and-play,” 1U appliance, the ADDERView CATx is a completely self-contained system that installs in minutes combining high security, flexibility, integrated remote power control, faultless quality video and optional CD quality audio. The two members of the series are the ADDERView CATx supporting 16 or 24 CATx computer connections, 4 simultaneous users (1x local PS/2 or USB, 4 x remote over CATx) and the ADDERView CATx IP supporting 16 or 24 CATx computer connections, 4 simultaneous users (1x local PS/2 or USB, 2 x remote over CATx, 1 x global over IP). Exceptionally high video performance to local, remote and global users. Flash upgradeable CAMs available for PS/2, USB and Legacy Sun keyboard and mouse support with optional audio. Optional CD quality audio when using correct Computer Access Module (CAM). Power control functions supported via dedicated serial port. Enterprise grade security (using AES 128 bit encryption and RSA 2048 bit public key authentication). Global users (IP) can chose between HTTP or RealVNC for highly secure connections and high performance. 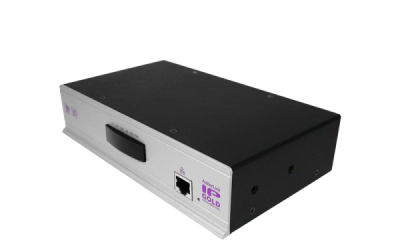 The ADDERLink IP Gold doesn’t need any software to be loaded on your servers and is easy to set up and use. The ADDERLink IP Gold uses Real VNC client software that, unlike HTTPS web browsers, is designed for secure, high performance KVM over IP applications. The ADDERLink IP Gold integrates with your existing KVM infrastructure to provide a cost effective global management tool. 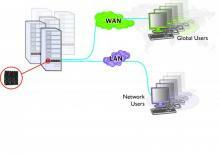 The ADDERLink IP doesn’t need any software to be loaded on your servers and is easy to set up and use. The ADDERLink IP supports the Real VNC client software that, unlike HTTPS web browsers, is specifically designed for secure, high performance KVM over IP applications. 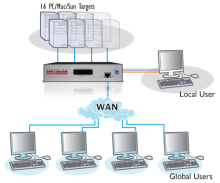 The ADDERLink IP integrates with your existing KVM infrastructure for a cost effective global management tool.